Easy access. Good customer service and clean and well lit storage facility. The staff at this facility was very friendly and eager to help with any question I had. Also, the price could not be beaten! Very Nice And Friendly Customer Service!! The space was very clean and seems safe to leave our furniture. The place was very clean and safe, the only problem was they keys were a bit difficult to use and unlock but other than that it was great. Modern state of the art security and very clean building! Smooth move in. Friendly helpful staff. Clean premises equipped with state of the art security. Highly recommended! Cynthiana was absolutely the best! 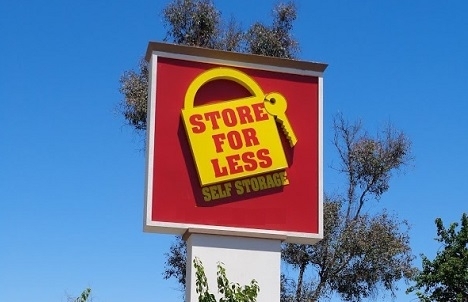 I was completely stressed out looking for a storage facility that had inexpensive 10x10 units and I needed it fast. I rented a truck thinking I was going to driverify it to Texas where I recently moved but my plans fell through after I'd already loaded everything into the truck. So I had to put my things in a storage unit instead. I searched all over the Internet, drove the truck to several storage places with the intent of unloading so I could return to truck (milage and gas were adding up). I stumbled upon Store for Less and actually ended up sleeping in the truck, in their parking lot because I got there after business hours on a Saturday and they were closed Sundays. Monday, I went in, spoke with Cynthiana and confirmed my onine reservation. Cynthia was an absolutely pleasure to work with. At this point, I was stressed out, in pain because I'd pulled out my back and falling apart. She was professional and polite. She made feel relaxed and gave me words of encouragement. She wentered through the paperwork quickly but thoroughly. She was helpful all around. I'm so glad I went to Store for Less. They really do cost less and the facility is so much cleaner and we'll kept. I advise anyone who needs a storage unit to check them out first. I promise, you won't be disappointed. Thank you sooooo much Cynthia and Store for Less. It's such clean and new modern storage. Everything is digitized. Most important is the onsite manager was super helpful, she is so nice to help us to move in very quickly. Highly recommend. Good opportunity to get storage facility in my area. My experience has been wonderful at Store For Less Lakewood. The pricing, cleanliness, security, available hours and customer service is all excellent. Cynthia assisted us with our reservation and I was very impressed with her. She is professional, yet very personable. Friendly, yet gently firm with those that want to break the rules and make it unpleasant for others. I would highly recommend Lakewood Store For Less. The place was very clean. Staff was very nice and helpful. I love that each unit have an alarm. New, Very clean, safe. Large clean elevators Wonderful! The best storage you can find in the area. Do not hesitate, it's wonderful. Easy truck access. Very happy with the cleanliness and pricing. The facilities manager Cynthia was very professional and helpful period again we're very happy that we could save so much money. I hope our rates still go up. Customer service is above and beyond. Very clean and spaceous. Love the elevators! Everything was great. Cynthia walked me through everything and took me to my unit to show me how everything worked. The units are so nice and spacious! Lights are all automatic which is very convenient. You use your code for everything which makes me feel very safe and comfortable to leave my belongings stored there.